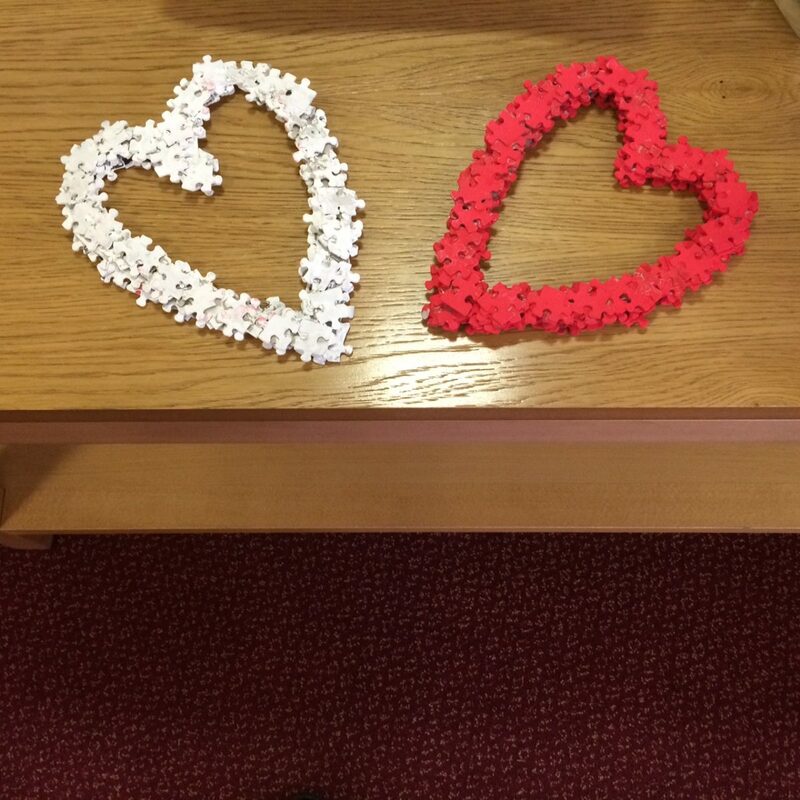 On a gloriously sunny Valentine’s Day, I made my way over to Newlands Care Home in Salford for a cookery session. 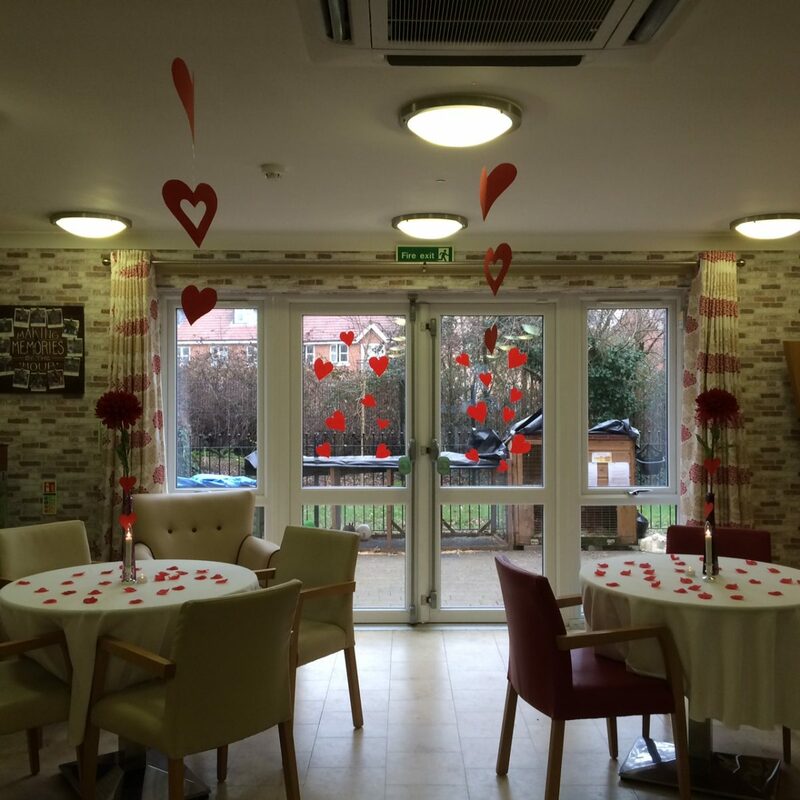 Newlands is a fully kosher care home set in one of the UK’s busiest Jewish communities. I was greeted by Hazel and the catering team who made me feel more than welcome, helping me to set up and rally residents interested in doing some tasty vegan baking. After introducing myself over a brew we got cracking with a lovely light and fluffy vegan Victoria sponge, followed by rich chocolate and peanut butter cookies. We all helped to put the recipes together, either mixing and rolling, or weighing ingredients while having a good chat about our favourite foods. When finished, the Victoria sponge looked fit for the Queen; filled with a zingy lemon frosting and fresh strawberries, and the cookies were a lovely consistency; not too hard but chewy and rich. The residents were impressed to see fully vegan baking, while learning how to veganise foods such as cakes and cookies. They were interested in finding out more about plant-based diets and how they could benefit the planet and their health, so the demonstration gave me a chance to share recipe ideas while introducing them to alternatives to meat and dairy. The day’s activities brought together residents eager to get baking for themselves and others in the home. As a vegan chef, it’s always great to find out new recipes and how kitchens differ from one place to another. Because this was my first time in a kosher care home it really opened my eyes to ways that the Jewish community celebrates ingredients and dietary needs. I talked at length with the head chef who introduced me to kosher cooking, and the rules and regulations followed by the residents and staff. The kitchen was very well equipped, with separate sinks and ovens for meat and dairy dishes, and each morning the rabbi lit the gas flame so food can be prepared by the kitchen staff. I also learned that due to restrictions, meat and dairy cannot be consumed together, so this meant that the vegan dishes we created could be enjoyed by everyone after their lunch and at other times of the day. 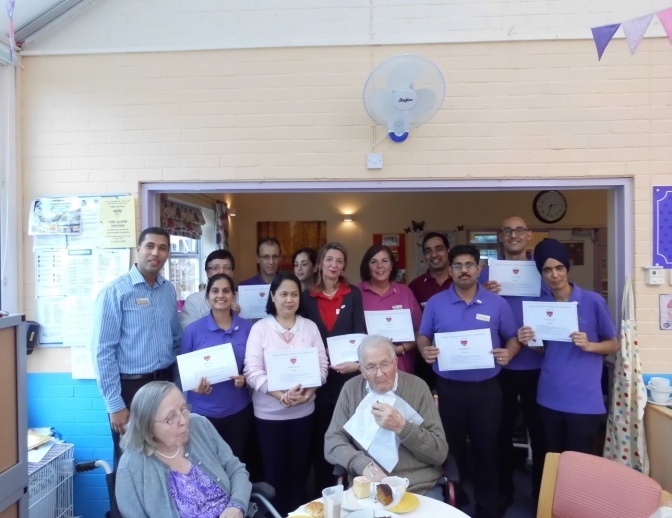 Our Manager announced the new Dignity Champions, who received their new badges and certificates. Wednesday 1st February 2017 saw a day full of celebrations. We started this wonderful day with a Church Service to remind everyone what is the true meaning of “Dignity” and that it doesn’t end with your shift at your workplace. All morning our staff had the opportunity to join an extra Dignity training session and everybody liked the information about the 10 Dignity-Do’s. 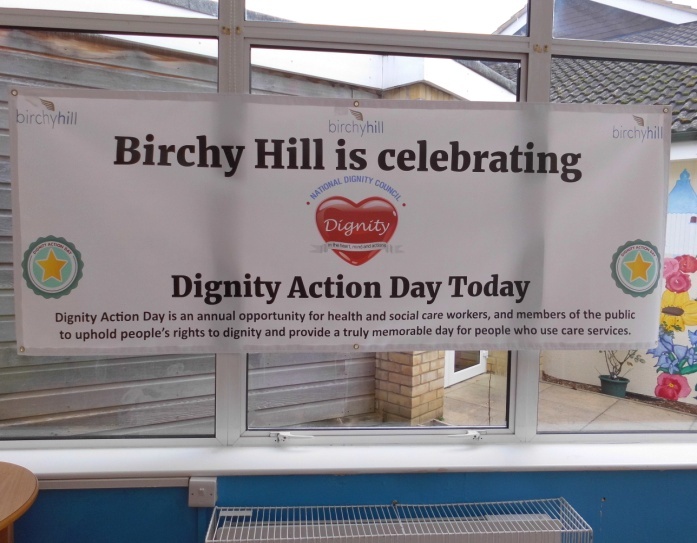 After our new picture of a Digni-Tree, a gift from one staff, was hung up, we celebrated the importance of “Dignity in Care” with our very own Digni-Tea Party. The kitchen surprised us again with a lovely High Tea, Luis Andrade played the piano. Staff and Residents alike loved this day, which will remind each of us to stand up any day and be a good role model.